However, on August 18 2011, the apartment lease of the boys of Ya Ya Bean ran out and the beginning of the least on their next apartment was until 2 wks. 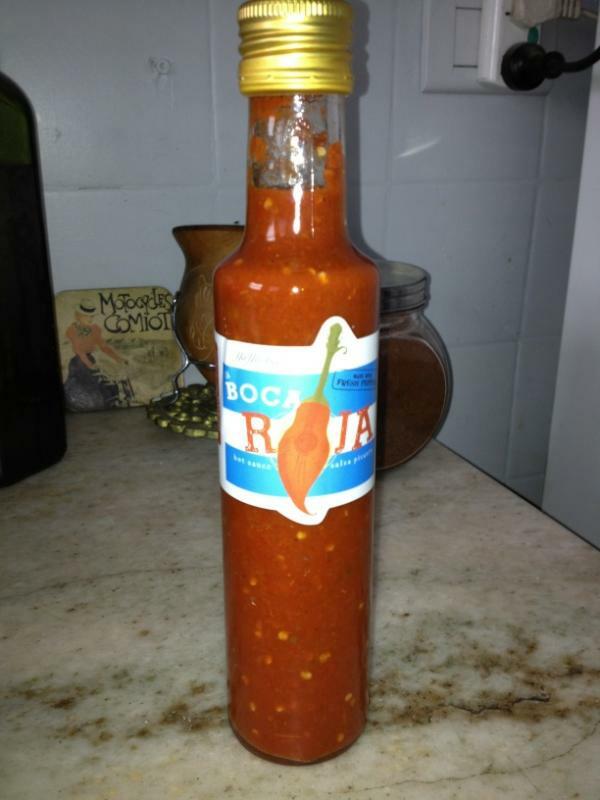 Ya Ya Bean consists of Mark and Kevin.....two best friends who make music and hot sauce here in the city. You can find them every Sunday at 250 Defensa in the San Telmo fair selling their famous hot sauce "La Boca Roja"
If you've been reading my blog, you would know that I have to deal with a body that has high metabolism and as a result, have to keep to a certain diet to satisfy the amount of carbs, sugar and calories my body needs to stay afloat on a daily basis. It can get extremely boring having to stick to potatoes, rice, breads, cereals, legumes and the same high carb stuff every day. 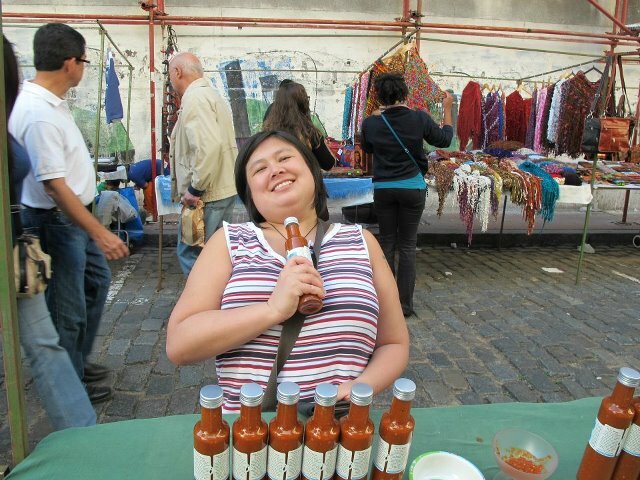 So one fine sunday I dropped by the San Telmo fair in search of this elusive hot sauce that everyone is raving about. Actually, it wasn't so elusive seeing as I ended up in front of their booth within 10 mins of getting off the subway station to La Plaza de Mayo in the city centre. My interaction with them was not only delightful but I ended up walking away with a bottle of something that would ensure that I would never go through another boring meal again.